Material: Zinc Alloy (Silver Tone), Austrian Crystal. The size of the brooch: 5.0cm (1.97") Height by 5.5cm (2.17") Width. There's a hook on the back, it can be used as a necklace pendant, or Keychain pendant. 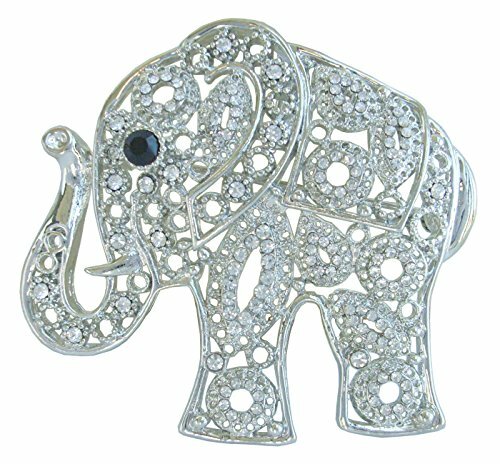 If you have any questions about this product by Animal Brooch-Sindary Jewelry, contact us by completing and submitting the form below. If you are looking for a specif part number, please include it with your message.